While it didn’t become a federal holiday until 1971, Memorial Day has been celebrated in some form since the Civil War – although back then it was known as Decoration Day. Some towns hold parades and memorial services and some head to the cemetery to place flowers on graves, but over the years those activities have become fewer. 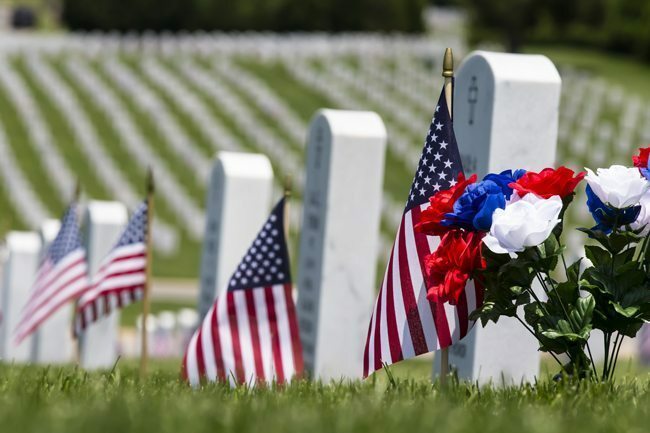 For many it’s a day off, the official start of summer, filled with barbecues and fun, but the real purpose of the day is to honor the memory of men and women who died while serving in the U.S. military. Traditionally, Memorial Day was held on May 30, but was later changed to be observed on the last Monday in May in order to create a three-day weekend. Many have sought to change the holiday back to May 30 to set the day apart from the start-of-summer festivities. A “National Moment of Remembrance” resolution was passed in December 2000 in order to “reclaim Memorial Day as the sacred and noble event that that day is intended to be.” According to the resolution, at 3 p.m. local time, all Americans should pause whatever they are doing for a moment of silence. Children should learn that a cemetery is not a playground. They should not run or play on grave markers. Pets should not make the trip to the cemetery unless they are service animals. Quiet picnics are usually allowed; please leave the hibachi at home. Military cemeteries, especially Arlington National Cemetery, have their own rules. Check them before you go. Visit the graves of fallen military personnel and leave flowers. Observe a moment of silence at 3 p.m. Fly the U.S. flag (and POW/MIA flag) at half-staff until noon. Pledge to support the families of the fallen and disabled veterans. Attend a Memorial Day parade and pay respects to those soldiers who gave their lives for our country.